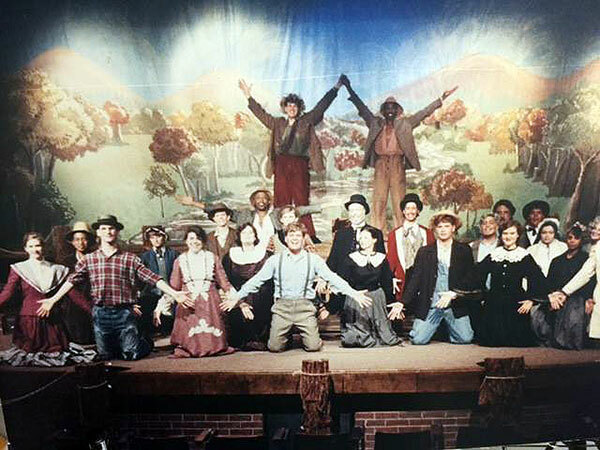 Sydney Chalfa, longtime play director at what is now Middle Georgia State University, is hosting a reunion of the casts and crews of the institution’s productions dating back 26 years. Chalfa, who is retiring this year as associate professor of Theatre, planned the April 23 reunion to bring back all those who “collaborated in the production of more than 70 plays performed” as part of the Impromptu Players during her tenure. “It will be wonderful to reconnect and once again appreciate the impact that theatre arts at Middle Georgia State had on this area for a quarter of a century,” Chalfa said. Nearly 100 former players and others involved in the theatre program over the years have registered to attend the reunion, some traveling from as far away as Los Angeles, Chicago and New York City. Reunion organizers are still taking registration from theatre alumni. Call (478) 318-8319. 10 a.m.: Meet and Greet, Rehearsal Hall, Macon Campus College of Arts and Sciences Building. 1 p.m.: Tour of Macon Campus. 2 p.m.: Improvisation Fun, College of Arts and Sciences Building lobby. 5 p.m.: Dinner, Rehearsal Hall. 7:30 p.m.: Performance of Chalfa’s last play directed for the University, Betty the Yeti, College of Arts and Sciences Building Theatre.